"In recognition of his outstanding sporting career and his close and continuing relationship with the city of Madrid through the commitment to the sport and the promotion of its values"
The title of Honorary Citizen constitutes, together with the of title of Adoptive Son, the first major distinction that the Madrid City Council may grant. The Area Commission for the Arts, Sports and Tourism of the City of Madrid will meet in special session next Monday, September 23, at 11.30 am, with a single point agenda: "to grant the title of Honorary Citizen of Madrid to Rafael Nadal Parera ". The proposal of the mayor, Ana Botella, has the consensus and unanimity of all groups, and carried out "in recognition of his outstanding sporting career and his close and continuing relationship with the city of Madrid through engagement with sports and the promotion of its values. " According to Article 32 of the Regulations for the Award of Honorary Distinctions, after passing through the Permanent Regular Commission of Arts, Sports and Tourism, the proposal to be raised in Parliament. The title of Honorary Citizen constitutes, together with the of Son, the first major distinction that the Madrid City Council can bestow. Both should be considered of equal rank and same honor and distinction. The Favourite Son of Madrid can only lie with those who were born in the Villa. The Adopted Son can be given to people who were not born in Madrid, whatever its nature of origin. Born in Manacor on the island of Mallorca, the June 3, 1986. He began playing tennis at age four, coached by his uncle Toni Nadal, who has been its only coach and trainer throughout his career. As a tennis professional, uniquely has supported the celebration of the Madrid Masters, prompting the council to give the Madrid Gold Medal awarded in the House of April 30, 2007. To date, has been champion in 13 Grand Slam tournaments, which is the third player to be professional with more titles "big" in the history of tennis. He has won the tournament eight times Roland Garros (2005, 2006, 2007, 2008, 2010, 2011, 2012 and 2013) in two, Wimbledon (2008 and 2010), two others, the U.S. Open (2010 and 2013), and in one, the Open of Australia (2009). He has won the victory on 26 occasions in the Masters Series and Masters 1000 organized by the ATP, which makes him the player with the most titles in this category of tennis history: Monte Carlo, Rome, Montreal and Madrid (2005) , Monte Carlo and Rome (2006), Indian Wells, Monte Carlo and Rome (2007), Montreal, Hamburg and Monte Carlo (2008), Indian Wells, Monte Carlo and Rome (2009), Monte Carlo, Madrid and Rome (2010), Monte Carlo (2011) , Monte Carlo and Rome (2012) and Indian Wells, Madrid, Rome, Montreal and Cincinnati (2013). Other notable trophies have been Godo, he has achieved in 5 occasions, and the Gold Medal at the Beijing Olympics in 2008. 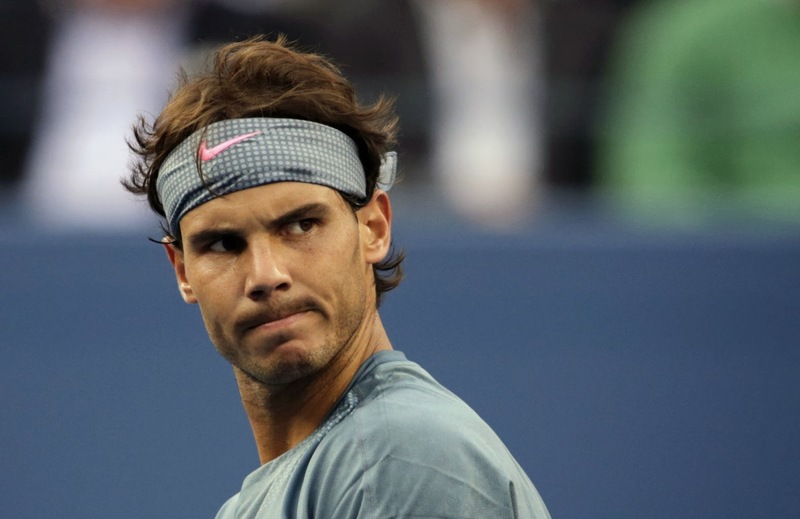 Has held for 102 weeks at number 1 in the ranking of top players in the world by the Association of Tennis Professionals, from the August 18, 2008 to July 5, 2009, and from June 6, 2010 until 3 July 2011. Currently ranked No. 2 in the ranking. In 2008 he received the Prince of Asturias Award for Sports and Brand Legend Award, and in 2009, the Grand Prix of the French Academy of Sport sports the world's greatest feat in 2008. He is considered as one of the greatest tennis players of all time.